colors sent random unless requested! 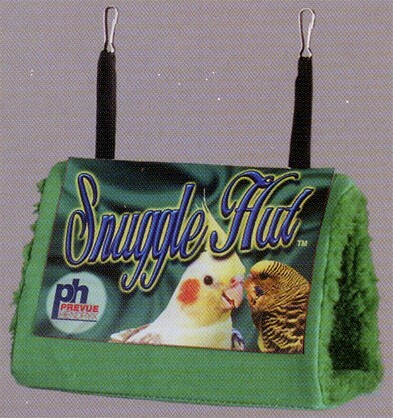 Prevue-Hendryx Snuggle Hut (Small, 7 inch) Sturdy-bottom tent holds its shape and boasts a soft sherpa interior with polyester/cotton outer fabric. Both ends are open to create a comfortable, secure spot to rest. Includes two metal clasp hooks for easy hanging within the cage.